Written by guest writer and herbalist Taylor Jeffers for Herban Wellness. We are taught in grade school the basics of health – nutrition, exercise, and hygiene, but what about having health goals specific to the world we live in? Nowadays we are exposed to more toxins on a daily basis, have high-stress lifestyles, and are overfed yet undernourished. Shifting our focus to creating optimal health now is investing in tomorrow. It’s important to acknowledge the basics of the body’s needs and support the foundations of health. We can do this by providing the body with essential nutrients, ensuring proper organ function, removing things that directly impede optimal health, and supporting a balanced microbiome. The following are primary factors to address when building optimal health. Despite the fact that we are a well-fed nation, nutrient deficiency is still a common issue. Nutrient deficiency is not only caused by a poor diet but also by farming practices that deplete the soil, overconsumption of nutrient depleting substances like sugar, consumption of processed foods that are lacking in vital nutrients, and long-term use of medications. As a growing concern in our highly developed and ever expanding world, reducing our exposure and ensuring our bodies’ capability to release toxins is crucial. Exposure to toxins like pesticides, heavy metals, medications in our water supply, volatile organic compounds like flame-retardants found in furniture, petroleum-derived ingredients in topical products, and much more are all linked to various issues from allergies to cancer. The effects of stress are far-reaching. Stress is not just a conversation of mental health but of the entire body. Prolonged stress affects every single organ system and is linked to decreased immunity, digestive issues, cardiovascular disease and so on. Like the Earth, our bodies are an ecosystem. This delicate ecosystem may become disrupted through exposure to pathogens and by overuse or misuse of antibiotics. Maintaining a healthy ecosystem requires a healthy gut flora through the use of fermented foods or probiotics, preventing spread of pathogens, and supporting the immune system when necessary. A truly holistic approach requires a look at our family history, lifestyle, and constitution. While genetics are not a death-sentence, it is important to know what runs in your family to know where your predispositions may lie. Taking account of your genetic background along with your constitution and lifestyle can provide clues that support your plan. It can be hard to know where to start, but focusing on the basics of nutrition, exercise, and stress reduction are all great places to begin. 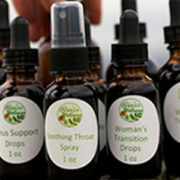 Once that has been established, herbal medicine can provide extra support. 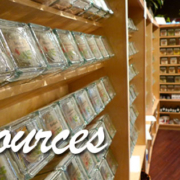 The most favored herbs amongst herbalist are generally those that tonify the body. These herbs are given the name tonics as the generally support the overall function of an organ or organ system by nourishing and strengthening. True tonics are herbs that walk the line between food or herb but are generally more medicinal or nutrient dense than most foods. By supplying essential nutrients to a particular organ or organ system, the organ may resume proper vital functioning. A well documented example is the balancing nature of red raspberry leaf on the female reproductive tract. Other tonic herbs include nettle, oats, dandelion, milk thistle and hawthorn. Many herbs are incredibly helpful at nourishing the body as they provide nutrients in a highly bioavailable form. 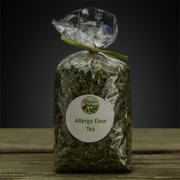 These include herbs such as nettle, oatstraw, horsetail, chickweed and so on. You can add these herbs to your food by sprinkling them in as powders, adding them to smoothies, infusing your oils and vinegars, or infusing in broths. Most commonly they are taken as a long-infusion where they will be steeped in cold water overnight (this maximizes extraction of minerals) and drunk freely everyday. Herbs such as ashwagandha, astragalus, or one of the many ginsengs are given the title ‘adaptogens’. Adaptogens help the entire body adapt to stressors by modulating the stress response mechanisms. 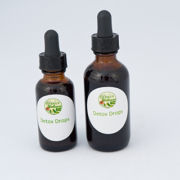 Where there is deficit or excess these herbs will bring back into homeostasis. They strengthen the entire body and are safe to use long-term. While in order to be a true adaptogen they must be non-specific in their action on the body, some herbs will have higher affinities to certain organs or slightly different energetics. 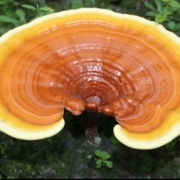 For some examples, reishi mushroom strengthens the cardiovascular system, while astragalus is king at strengthening the immune system, and ashwagandha is calming whereas rhodiola is stimulating for most people. Herbs that are considered cleansing are herbs that promote optimal function and generally stimulate the organs of elimination. It’s easy to overlook this step and sometimes we take this step too far by making detoxification a race to be won. For some, targeted detoxification programs are necessary and should be overseen by a professional. For the rest of us it’s crucial to recognize what can support optimal function of our emunctory organs: the intestines, liver, kidneys, skin and lungs. Some herbs that are helpful here include dandelion leaf and root, burdock root, yellow dock root, cleavers, and milk thistle. Using these herbs periodically to open elimination channels can relieve the toxic burden on those organs and revitalize the body. Creating a healthy gut microbiome is often considered to be the route to optimal health, as it is commonly where many ailments start. 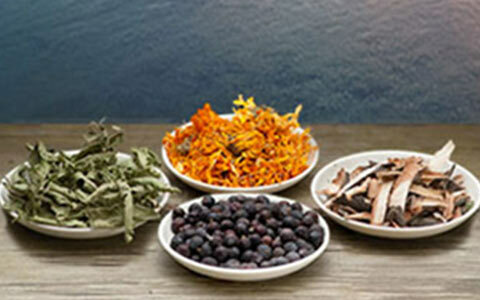 Including bitter herbs with our meals supports our digestive processes and consuming plenty of pre- and probiotics are essential to a thriving gut flora. 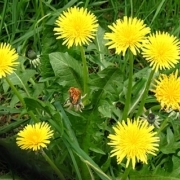 Some herbs like burdock or dandelion root provide inulin, a fiber that acts as a prebiotic, and are also bitter which can improve digestion. They are optimally consumed as a powder or other whole-root form to provide inulin, and can also be consumed as teas, capsules or even taken as a tincture before meals to prepare the body for digestion and for their other benefits. 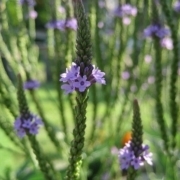 Other herbs in this category may include specific antimicrobials that can balance out a disrupted flora or fight chronic viral or bacterial infections. Our favorites at Herban Wellness include olive leaf, berberine-rich herbs such as oregon grape root or goldenseal, lemon balm, thyme, and yarrow. Reducing oxidative stress on the body takes high precedence in the modern world. Incorporating antioxidant rich herbs in your cooking or supplements can dramatically change the way your body is recuperating from the damaging chemical warfare it encounters daily. This ultimately leads to less chronic inflammation in the body. Herbs in this category include the well-known turmeric, ginger and rosemary and lesser acknowledged olive leaf, artichoke leaf, and clove. Essentially colorful foods are the richest sources, so don’t forget your herbs such as elderberry, schisandra, hawthorn berry, rose hips and goji berry! The cell protective capabilities of milk thistle, schisandra berries, and astragalus are an important consideration where any damage is suspected or to be expected with certain types of ongoing medical treatment. As you work towards supporting your body’s needs from the ground up, you may discover that radiant health was always within reach. The recommendations are intended to spark a desire to focus on the building blocks of health in a holistic way by using what nature offers us. For centuries we have evolved with plants as food and medicine, and this unique relationship can be re-established to create vibrant health for today and tomorrow. Why and who uses herbs?